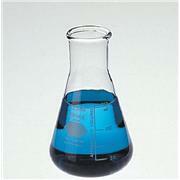 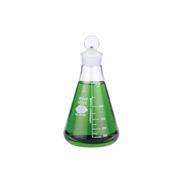 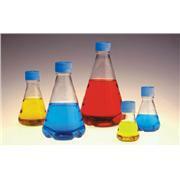 Borosilicate Glass Erlenmeyer Flasks are designed to give the best combination of thermal shock resistance, physical strength, and resistance to chemical attack, Narrow Mouth with Screw Cap. 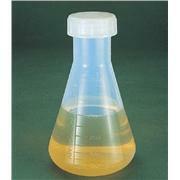 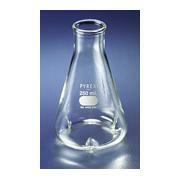 SYNTHWARE Erlenmeyer flask with standard taper outer joint. 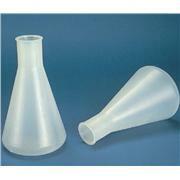 All sizes are hand blown from tubing to ensure heavy and uniform wall. 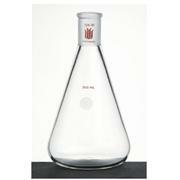 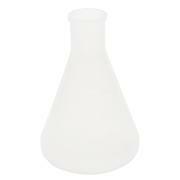 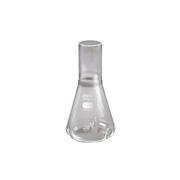 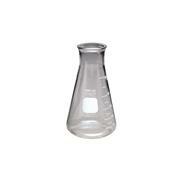 Erlenmeyer flask, wide mouth with beaded lip to resist chipping. 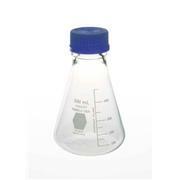 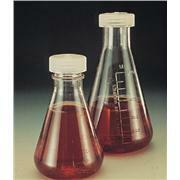 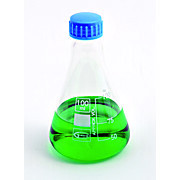 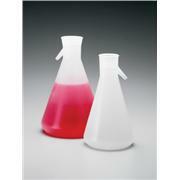 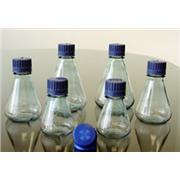 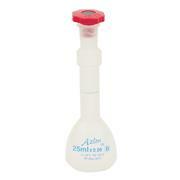 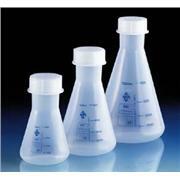 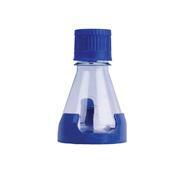 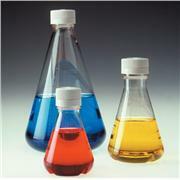 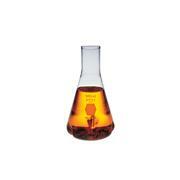 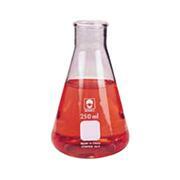 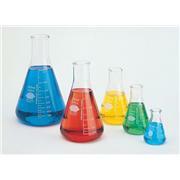 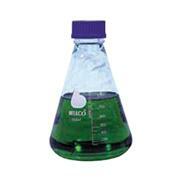 10 and 25mL capacity, used to carry out reactions or to hold items such as 9581 Craig Tube in microscale work. 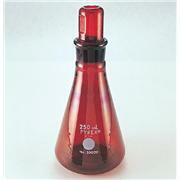 Spectral transmission varies from 0 at 300 nm to 4% at 500 nm With barrel-shaped, No. 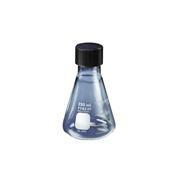 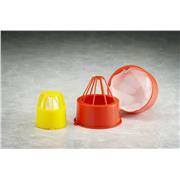 27 Standard Taper stopper Capacity: 250 mL The protective color is an integral part of the flask, which retains the mechanical strength, chemical stability and thermal resistance of PYREX brand labware. 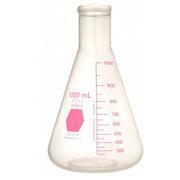 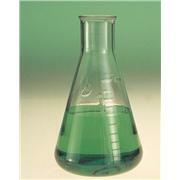 Erlenmeyer flask, heavy wall, with a standard taper joint.